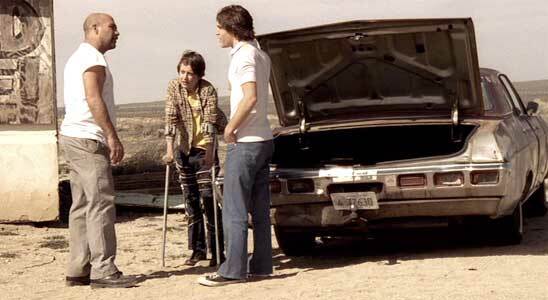 Trevor Morgan wears black low cut Converse “Chuck Taylor” All Stars in the film. Roberto Clemente getting his 3000th hit is the background for this film. Chasing 3000 is based on a true story. 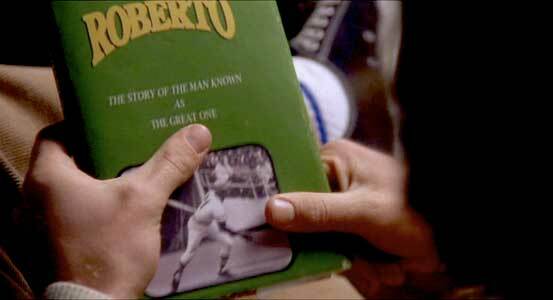 The film opens with Adult Mickey (Ray Liotta, who was once in a baseball movie), a Roberto Clemente fanatic, taking his teenage kids to PNC Park for a Pittsburgh Pirates game. On the way, Mickey tells them the heartwarming story of how he and his brother Roger saw Clemente hit his celebrated, Hall of Fame-making 3,000th hit, a rare milestone. It’s 1972, and we’re immediately awash in nostalgia Americana. These were better, simpler times when kids played baseball, walked down alleys, lived in small towns, and the families were working class. Young Mickey (Trevor Morgan) loves baseball. He worships Clemente, reads his book and learns from it. Early on, their father leaves them and they are raised by their mom (Lauren Holly) and Pops (Seymour Cassell, with several accents). Because of Roger’s (Rory Culkin) worsening health — he has muscular dystrophy and bronchitis — the family moves to Los Angeles. Mickey hates L.A. He’s not good at baseball in the big city, where everyone is competitive and he doesn’t get along with his coach. His mother cares more about Roger, he feels. And other such “injustices.” Every scene shows how hard of a time Mickey is having. When his mom goes away on a trip, Mickey decides to take off for Pittsburgh to see Clemente hit his record 3,000th. Roger insists on tagging along, despite his health and handicap, and so begins their adventure. Mickey and Roger have been kidnapped by the short order cook..
Their shenanigan-filled lark, replete with colorful characters, begins. After 12 hours, in New Mexico, Roger realizes he has forgotten his medicine. They stop at a hospital, for the first death threat and also for a wacky scene where they sneak out without paying for the meds or getting a parent to sign him out. At a diner, they’re kidnapped by a dim-witted short order cook (Kevin Gage), who thinks he can get a reward for the runaways. Rather than being taken back to their car, the two opt for a train. Not having enough money (it’s in the car) they jump in the freight car and meet a girl who makes it very, very clear she has fled from abusive old men and is homeless. This is too much of a downer, so Mickey pours into his Clemente book. Their train overshoots their destination and they end up in Alabama, where they stay at a mission, meet a sympathetic doctor, call their mom to pick them up, flee, meet some bikers (led by Andrew Bryniarski) and finally an old coot (M. Emmet Walsh), who gives them an old taxi to drive to Pittsburgh. Only 36 miles away, Roger and Mickey have to stop at a hospital again. By now, Mickey has finally figured out that his brother is important and he isn’t the center of the universe. The next day, Pops takes them to see Clemente hit number 3,000. They meet up with their mom afterwards, who has been wandering around aimlessly looking for her sons. But, everything’s okay. After, Adult Mickey and Adult Roger (Jay Karnes) hang out at the baseball game together. Roger and Mickey continue on their trip by riding in a boxcar on a train. Chasing 3000 is like shooting fish in a barrel. It’s your basic Americana road trip with values that are uplifting and without surprise. It should please anyone who liked Letters To God. My problem is that even if this is based on their real story, it is packaged and presented like a clichéd movie. It also gets the beats wrong. It unevenly goes from maudlin to the tragedy of Roger’s health to the zany stuff with the dozens of characters. The nostalgia is probably sincere, but the film leans heavily on a dense soundtrack of family-safe rock classics of the period. There’s a distracting parade of actors in needless bit roles: Keith David, Lori Petty, Michael O’Keefe and others show up for one scene each. The biggest problems: Young Mickey is unlikable, and Rory Culkin plays Roger monotone. It’s all a superficial experience, one with no greater ambition than to play exactly like a movie, without being particularly original, charming or involving. It’s not awful, but it wasn’t for me. Mickey and a hospital aide carry Roger into the emergency ward. To get the drugs Roger needs, Mickey literally gets his foot in the door of the pharmaceutical room. 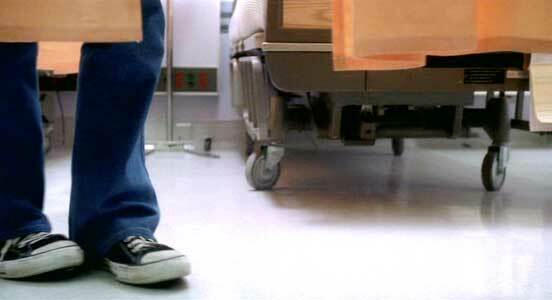 Throughout the film, Mickey wears black low cut chucks. They were the popular shoe for teenaged kids into sports at that time. 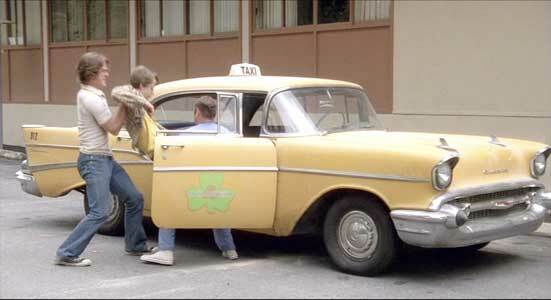 When Mickey is trying to flee the hospital, there are plenty of low shots of him sneaking around looking for a means. Mickey sneaks the dose of medicine to the room where Roger has been placed. Earlier, Mickey is in the library. He ducks under a table to get a pencil, but lingers to look up a girl’s skirt a little. Like we all did when we were teens in the 70s. Mickey is under the table looking for a pencil. Chasing 3000. (2010) Trevor Morgan, Rory Culkin, Lauren Holly, Ray Liotta. Directed by Gregory J. Lanesey.